Dr. Tom Corbin graduated from the Community School of Traditional Chinese Health Care in 1995 and licensed to practice acupuncture for more than 20 years. He also received advanced acupuncture training from Nanjing University of Traditional Chinese Medicine in China and a Ph.D. in Integrative Medicine from Open International University for Complementary Medicine affiliated with Medicina Alternativa. 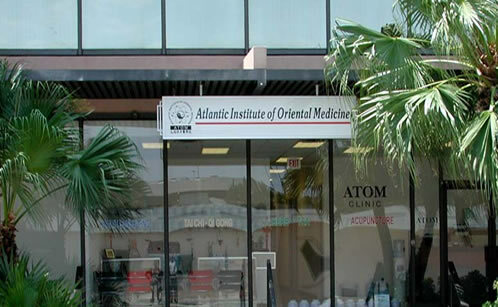 Dr. Corbin has taught auricular and body acupuncture courses in ATOM since 1999 and worked as acupuncturist in the Veterans Administration Medical Center in West Palm Beach since 1998. He specializes in auricular medicine, vibrational and functional medicine. Dr. Corbin also participated in acupuncture research for the treatment of hepatitis, peripheral neuropathy and osteoarthritis. Dr. Corbin’s Advanced Auricular Medicine course concentrates on acquainting the participants with the basic skills to use advanced techniques and devices to enhance their clinical outcomes whether they use auricular therapy as an adjunct or primary therapy. In addition, the latest advances in the modality are demonstrated as well as clinical protocols for most of the common pathologies treated by acupuncturists. The course also introduces Auricular Medicine as an advanced technique known for both treatment and diagnostic effectiveness. To acquaint participants with the most researched and advanced auricular locations to improve clinical outcomes. To familiarize attendees with protocols used in auricular therapy as both a singular modality as well as an adjunct therapy useful in any clinical case.